I don’t know about you, but I have a consistent desire to minimize my loads of stuff. This has kind of always been a part of me- ask my Mom, who does not have this same desire (love you Mom)! When I started a concerted effort to evolve my personal style, I realized that I have A LOT of clothes. So I started doing this thing that I was calling ‘Shopping in my own closet’. I am sure someone else coined this phrase but at that point I had not heard it- honest! 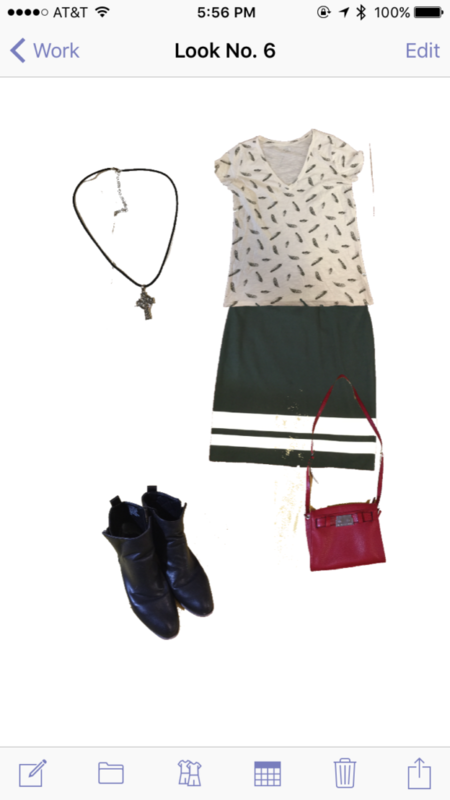 On Sunday, I would look through my closet and pull out various outfits for the week, trying to mix and match things in new ways vs. making a mad dash each morning and basically wearing a slightly different version of the same thing. And this worked for, oh maybe three weeks and then my efforts fizzled. You know, life. Jump to about a month ago when I discover that there’s an app for that! I am sure there are a few but the one I have been using is called Stylebook. Holy moly, y’all. It has revolutionized my ability to ‘Shop in my own closet’. 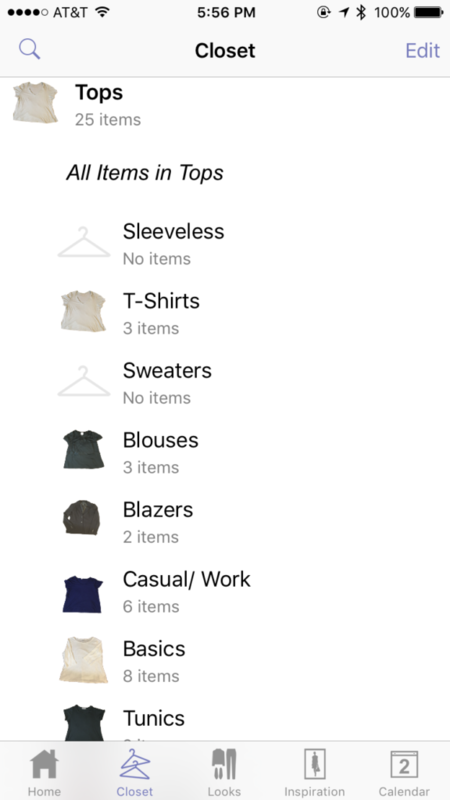 Stylebook allows you to photograph and categorize your clothing and then build endless combinations of outfits from the clothes you own (think Polyvore or Pinterest outfit combos but YOUR OWN CLOTHES). There is a little time investment up front with photographing and cataloging. But the pay off is worth it and for me, Stylebook has been an incredible time saver. Additionally, it has cut out many “Oh yeah, I forgot I had that moments”, as it is all right in my hot little hand. 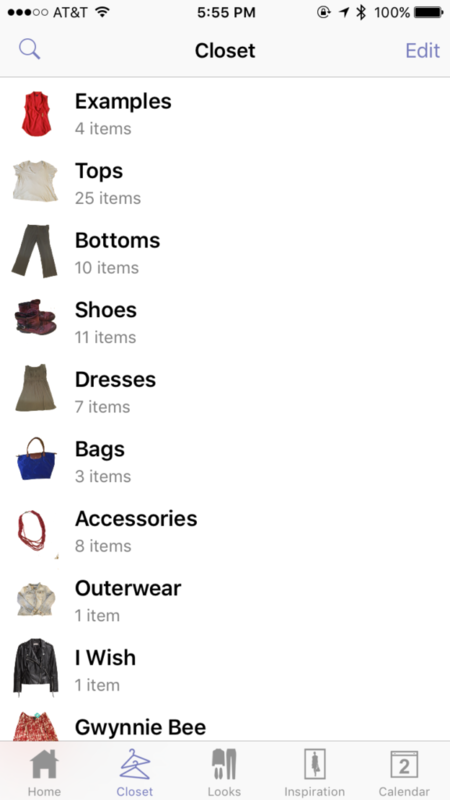 Stylebook also will allow you to track when you wear certain outfits or pieces of clothing and you can see what is working and what needs to be passed on to the donation box or sold. The Stylebook app and website are excellent at explaining the process and have very helpful tutorials. The Stylebook App cost $3.99 and I have found it’s worth the small investment. 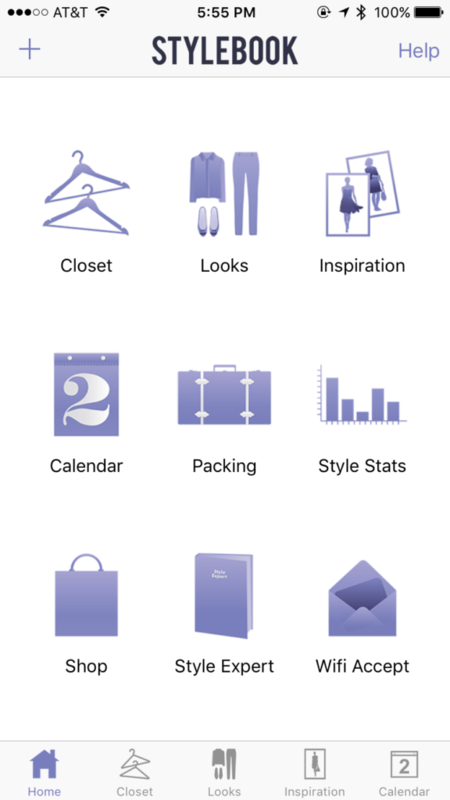 Here are some screen shots of my personal Stylebook (It’s a work in progress). If you decide to try Stylebook or something similar please let me know what you think. I am planning a post soon chronicalling a week of outfits that I wore using Stylebook but I have been so impressed with Stylebook that I wanted to share ASAP! !